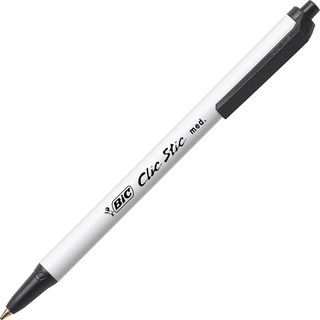 Retractable ballpoint pens feature a durable, color-coded pocket clip and tip jacket to easily identify ink color. The writing is smooth and precise, with a precise angle. Pocket clip is break-resistant. Retractable design means no lost or misplaced caps. Design also features a round barrel, brass point and tungsten carbide ball. Ballpoint pens are nonrefillable.